It’s hard these days to miss a 2013 retrospective list, counting down the year’s best/worst in just about everything (do we really need to be subjected to more Miley Cyrus “twerking” replays?). As I went for a nice 4.5 mile run today, I started thinking back on my 2013 and came to the realization around mile No. 3 that it was my best year ever. I often have thought of the Summer of 2004 as the best three-month span of my life — went to Europe for the first time, met my soon-to-be wife, was recruited to a new newspaper — but hadn’t ever considered a Jan. 1 to Dec. 31 sort of “Best Year Ever.” Honestly, it’s because I’ve always been pretty happy with my life and try to view most everything positively. My first joke bombed. But the rest of the speech was pretty damn good. No. 10 — As a freelance sports broadcaster, I was able to add three more universities and several more sports to my resume. I called several games for UCLA, UC Riverside and Cal State Fullerton. No. 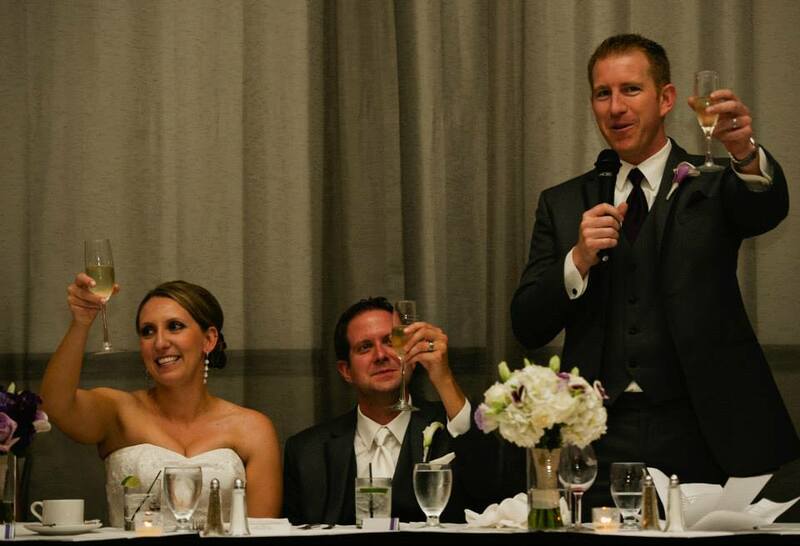 9 — I served as the best man for my friend Chris Paul’s wedding to Lindsay Jones (hear her podcast here) and organized a bachelor party to New Orleans, a city I have never been to before. I want to say that we destroyed the city, but after three days, my liver wanted to strangle me and I could’t wait to get home to California and eat a vegetable. No. 8 — I earned a promotion and a raise in my job at UCLA, the first such things to happen to me since leaving the newspaper industry in 2008. No. 7 — For our sixth anniversary my wife and I were given a trip to Napa where we stayed on a vineyard, were given numerous private tours, tasted some of the best wines we ever had and ate at some amazing restaurants. No. 6 — My wife and I did something we both had wanted to do and we used “losing the baby weight” as an excuse to get our butts in gear. 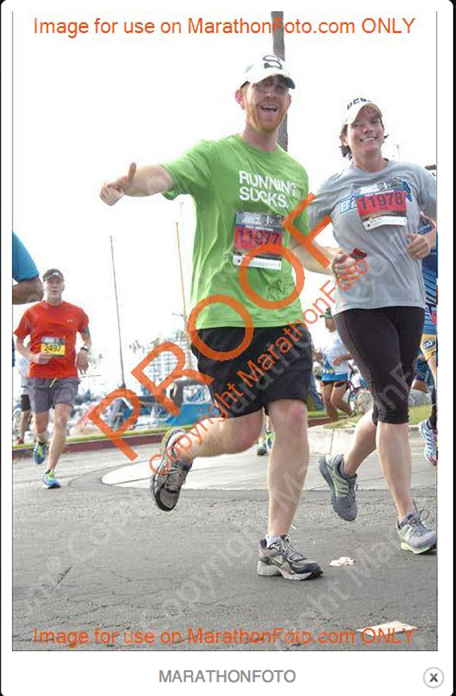 We ran our first half-marathon, did it together, trained together and had a really good time doing it. Now I want to run a full one. Yes, I am an idiot. No. 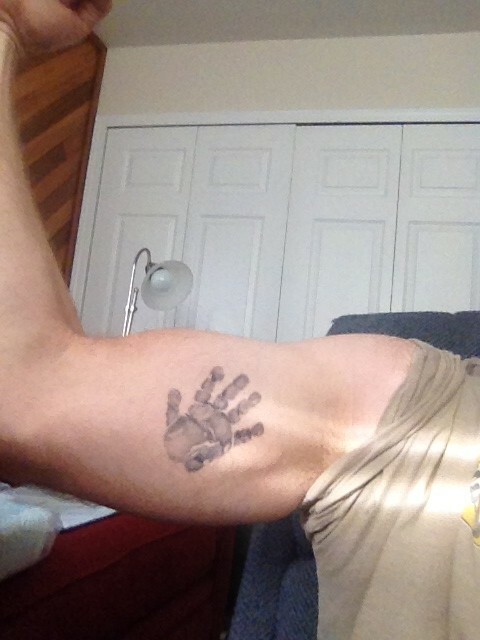 5 — I got a tattoo of my daughter’s handprint on my inner arm on Father’s Day. I need to lift more weights. No. 4 — A week before Christmas I was hired for a leading role by a major company. I start in early January. No. 3 — It started as a way for me to learn more about my faith so that one day I could teach my daughter things and answer the questions she might have about religion and God. Then it became about developing my faith further and becoming more involved in it. Ultimately, going through adult catechism at our Catholic Church has helped better shape me as a man, a father and a human being. No. 2 — My wife and I purchased our first house together. This was monumental in my list of lifelong goals I have always wanted to achieve. The fact that we have a front yard, a back yard and we are less than 10 minutes from the beach is all gravy. No. 1 — I became a father. Wow, I can see why you would say it was your best year ever. So many great things happened! Good luck making Next Year even better. Thanks! If any year from here on out can top it (and I hope some can!) then I cannot wait for the future! That really is a great year. Congrats on all the positive things. Question: Did you also start your blog in 2013? Or was it earlier? @SeattleDad – I started my blog in October, which is about 7 months after my daughter was born. Sounds like a great year, well done for all of it! I’d certainly put becoming a father at number one on my list of highlights of 2013 as well.